Men rarely do they discuss their problems, but when they do, it’s a way for them to ask you for your advice. On the other hand, women have a dire need to communicate and share their feelings and thoughts for the mere sake of sharing. They don’t need solutions, they simply need someone to listen and show empathy. Because of this difference, when a woman shares her thoughts and problems, the man would perceive it as a request for his advice. He would then, interrupt her every now and then to steadily give her flows of advice she isn’t asking for. Eventually, the woman would give up talking and would complain that he isn’t listening. Thus, the man is left confused, wondering what went wrong. When the couple acknowledges and understands their differences, the woman would see his advice as an expression of love and the man wouldn’t take his woman’s rejection of his advice too personally. Instead he’ll try to listen better and restrain himself from giving his solutions. The women, as a result, would feel more loved and fulfilled. When a man is going through a stressful time, he might not feel like talking about what is upsetting him. The woman, however, might view it as a sign that her man is ignoring her or that she isn’t important enough to him to confide in her. This common belief is emanating from the fact that, unlike men, when a woman feels upset, she needs to talk about her problems to someone she trusts. When a man feels upset, he focuses on solving his problem on his own. But if he wanted to talk that would be a sign that he’s asking for an expert advice. A woman, on the other hand, feels immediate relief through talking herself out. She discusses her problems randomly, small or big and in no logical order. She isn’t asking for an advice, she simply needs for her man to listen to her and show her empathy. When a couple understands their difference, the man will be able to show more empathy. He will try to listen better to his woman, without trying to give her advice and without getting overwhelmed with all the details she’s reciting. And the woman, then, will try to understand her man’s need to withdraw and not talk about what is bothering him. She’ll try to be more considerate and not take his withdrawal personally. Women seem to give more than men do when it comes to a relationship. It doesn’t mean that men don’t care as much as women do, but here’s the thing; Women are afraid to receive. They fear rejection and disappointment and they often think less of themselves. They believe that they’re worthless for their men’s help. So, they go on trying to give as much as they can without setting boundaries for their giving. As a result, men don’t feel needed anymore. What women don’t realize is that men need to feel needed, and as women fear to receive, men fear to give. Men value power and strength, they aim to be competent and efficient. So, when it comes to someone they care about a great deal, ironically, they tend to give less; they fear failure. A woman needs to express her needs in a way that isn’t so desperate, but that implies that she trusts her man to fulfill her needs. A compliment can impressively boost her man’s confidence. And when he fails or make a mistake, a woman shouldn’t blame him, but rather appreciate the effort he had put in and forgive him. On the other hand, a man should view his mistakes as a way to know his woman better and learn to fulfill her needs better. 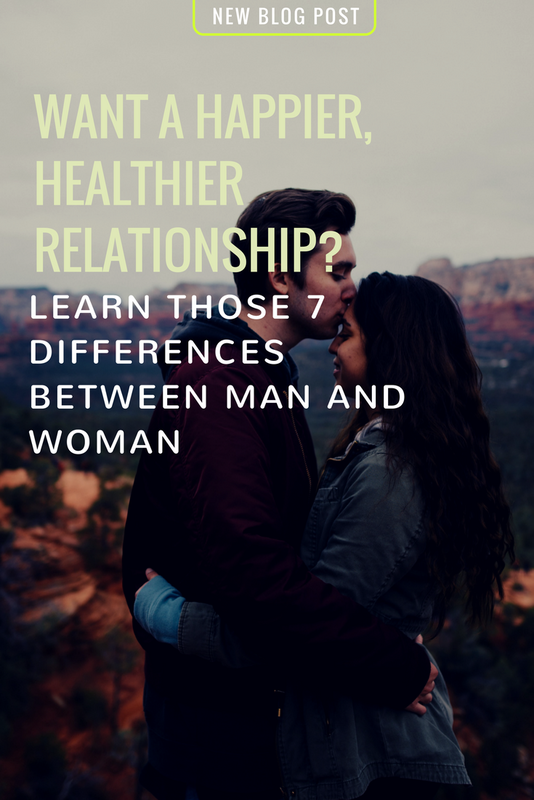 Men and women have different intimacy cycles. The man is like a rubber band. A man gets close until he fulfills his intimacy needs and then he pulls away until he fulfills his dependence and autonomy needs. Right then, after stretching as far, he comes springing back like a rubber band. He picks up the relationship right from where he left it before he pulled away, and again he’s fully available to give to his relationship. The woman’s intimacy cycle, on the other hand, is more like waves. One moment she’s feeling good and all loving and caring and the next moment, she’s crashing down; she’s vulnerable and insecure. A woman needs to feel upset, it’s like an emotional cleansing. It’s irrational to expect her to feel good all the time. However, once she hits the bottom, she rises up again and is feeling good and loving. Her man needs to understand his woman's need to feel her negative emotions. He needs to show support and empathy and not get overwhelmed by her sudden neediness. There are twelve different emotional needs, and men and women, each has six primary love needs that are equally important to them. While a man needs: trust, acceptance, appreciation, admiration, approval, and encouragement; a woman on the other hand needs: care, understanding, respect, devotion, validation, and reassurance. Because of the difference between men and women, many couples end up feeling unfulfilled in their relationship. The man is giving to his woman what he would have needed and the woman is doing the same. A woman might give her man too much care, being it her primary emotional need, that he’ll perceive the message that she doesn’t trust him to take care of himself. It’s not about what we’re arguing about, it’s about the way we argue. In a relationship, we’re bound to disagree. However, a little disagreement often escalates into an argument and then into a battle, not because of the importance of the issue, but because of the unloving way couples argue. A man, when being challenged, instinctively tries to defend his point of view. And his tone of arguing becomes increasingly uncaring. This upsets the woman; whereas, her man keeps thinking that she’s upset about the issue and continues his arguing. The woman, on the other hand, can as hurtful. When being challenged, the woman’s tone of arguing grows untrusting and rejecting, which can be quite hurtful for her man. To avoid arguments, you need to remember that often times, we’re not arguing about the issue but about the way we discuss the issue. Take a time out to cool down. Reflect on the way you’re approaching your partner and acknowledge his needs. Then go back and talk about the issue in a loving tone. A man believes that by doing something big for his woman, like buying her a car or taking her on a vacation, he’s then scoring higher points than doing the little things, like buying her a flower or helping her around the house, does. However, women keep score differently. For a woman, no matter the size of the deed or gift, the score is always one point for each thing her man does for her. So, when a man becomes more successful, he devotes more of his time in his career and less of it for his woman. The woman is now taking on more responsibilities to take care of the household chores. She’s frustrated and resentful because, from her point of view, she’s doing more than her man. Her man, however, thinks that the score is even now that his pay is higher. He’s happy with the new situation except for one thing, his woman is unhappy, so he blames her for needing too much which leaves her even more resentful. By understanding the difference in keeping score. A woman can understand better why her man is doing what he does. She can, therefore, start requesting from him to do the things she needs without being resentful. And the man can understand how important it is for his woman to do the little things. By doing those little efforts, he can sense the difference in their relationship and how fulfilled and happy his woman becomes.